Gillian is a Registered General Nurse (Newcastle, 1984) and was awarded the Diploma in Nursing (London University) in 1988, BSc(Hons) in Professional Studies in Healthcare in 1991, PgCert in Learning and Teaching in Higher Education in 2004 and MA Advancing Practice in 2005 from Teesside University. In 2016 she completed her PhD at the University of Wolverhampton for a study exploring the recovery experiences of under 60s with fragility hip fracture. Gillian is a Myers-Briggs Personality Type Indicator (MBTI) II licenced practitioner and has practiced as an accredited NHS/Healthcare Leadership model 360O feedback facilitator since 2004. Her clinical career included acute medical, renal, palliative care and General Practice and community health promotion nursing. She managed the Teesside Smoking Session Service before completing a secondment as Lecturer/Practitioner at Teesside University where she subsequently worked as Senior Lecturer in Leadership and Service Improvement in health and social care. Gillian was promoted to Principal Lecturer/University Teaching Fellow in 2009 in recognition of leadership and (inter)national impact in quality improvement education. She spent four years as a Learning and Teaching Consultant and has provided quality improvement and Higher Education consultancy for the NHS Institute for Innovation and Improvement, private, social enterprise and HE/NHS organisations. She has instigated and led a number of research and service evaluation projects and was a member of the National Reference Group for Service Improvement. She has developed applied quality, safety and governance leadership programmes, including a CIEHF recognised PgCert Advancing Human Factors in Health and Social Care. 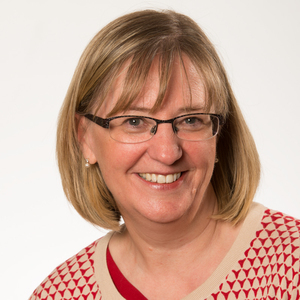 Gillian is a Senior Fellow of the Higher Education Academy, past fellow of the Centre for Excellence in Teaching and Learning in the Health Professions (CETL4HealthNE) and member of the NHS England/Health Foundation Q Founding Cohort. She has strategic change experience as a member of Primary Care Trust, University and Academic Health Sciences Network/Patient Safety Collaborative/Q/Health Education England North East executive steering groups. Workforce engagement and wellbeing for patient safety, Silences research, quality improvement, experience based co-design, Human Factors, action learning and action research, leading change and learning from excellence. Gillian has attracted research and innovation funding from NHS and Higher Education (HE) organisations, The Higher Education Academy and Joint Information Systems Committee for HE.